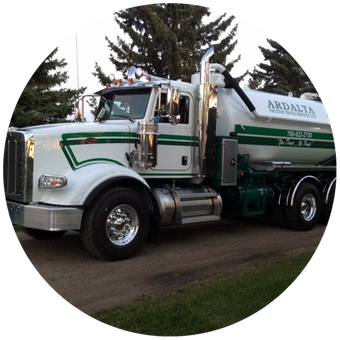 Ardalta Vacuum Truck Services Ltd has been serving Northern Alberta since 1985. We are a family owned and operated company, committed to prompt service, proper environmental practices, and dedicated to taking care of your needs. We serve the septic needs of Ardrossan, Sherwood Park, Fort Saskatchewan, and Beaumont. Our staff is Alberta Onsite Wastewater Management Certified (AOWMC), and all operators are trained in all aspects of our field work.